Students interested in the life-changing potential of medical devices, from pacemakers to diagnostic tests, will gain unique insights from the Biomedical Technology Department faculty at Anoka-Ramsey. They will also have the opportunity to visit local medical device manufacturers and learn firsthand how they develop, test and launch their products. Faculty in the Biomedical Technology Department faculty bring valuable professional experience in the medical device industry and in key industry associations. The department prepares students for entry-level positions in biomedical companies or transfer to four-year colleges. Students gain a solid foundation in science and technology, and an introduction to processes, standards, regulations and trends in medical device development and manufacturing. Certificates can be combined and applied to degree requirements for an Associate of Science (AS) degree in Biomedical Technology or an AS degree in Applied Engineering Technology. Do you wonder what qualifies a product as a class I, II or III medical device? Do you want to know the size of the medical device industry and what the future looks like for the industry in Minnesota? Want to know how a medical device goes from an idea to market release? What learn more about the current and future workforce needs? To get these answers, watch the video and enroll in BMED 1100 “Introduction to Biomedical Devices and Industry.” These two-credit, eight week class, will walk students through a different career path each week. This is a great course to help students understand what specialty might interest them in the medical device industry. 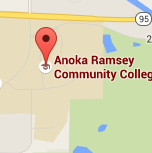 To address the “hands-on” technical training required by the medical device industry, Anoka-Ramsey Community College has opened up a medical device manufacturing skills lab. Students will now have access to the actual equipment used in industry for production, quality inspection and labeling. Proper cleanroom techniques will be taught in an 8’X16’ simulated clean room. The skills lab will be used in the college’s Biomedical Technology program and the new 140 hour “non-credit” accelerated production certificate program. To schedule a private tour of the facility, or to request information for the production certificate program, contact Jon Olson (jon.olson@anokaramsey.edu) or Matthew Salo (matthew.salo@anokaramsey.edu). 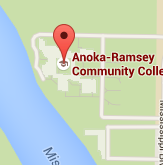 The Biomedical Technology Program at Anoka-Ramsey prepares students to design, manufacture or repair equipment that diagnoses or provides therapeutic relief to medical problems. Simply put, products can be anything from bandages to pacemakers; from medical device components to the final medical device product. The medical device industry is critically dependent on employees with great skills and up-to-date training on the full spectrum of design, regulatory, manufacturing and quality issues. By working with faculty and advisors directly from the industry, we assure our students receive the most current, best practices available to make them highly valuable to themselves and their employers. "I enjoyed all of the classes and the instructors, but the Introduction class really piqued my interest about the biomedical industry. The instructors go above and beyond to make the material interesting and practical, and use field trips to medical device companies to provide a first-hand view of the environment that medical device professionals work in." "Applying to Anoka-Ramsey’s program added credibility to my applications to medical device companies; the skills learned in the BMED program helped to contribute to my new employer almost immediately. I don’t think I would have enjoyed that success without the program."